The Varanguard are the elite warriors of the Everchosen, those worthy of fighting by Archaon's side. When treachery strikes, Vanik, one such warrior, will stop at nothing to bring Archaon's vengeance to his foes. It's a look inside the inner circle of Archaon Everchosen and his forces – a fascinating glimpse at the greatest heroes of Chaos in the Mortal Realms. Archaon, the Everchosen, is the most powerful and feared of all the great Champions of the Dark Gods. Warlords of immense cruelty, who have waged innumerable campaigns of suffering and slaughter, thirst to fight by his side. Such Knights of Ruin are known as the Varanguard. Though Vanik the Black Pilgrim’s blade drips with the blood of conquered empires, he is yet to prove himself worthy of ascension into the Fifth Circle of the Varanguard. At last, he faces his final, nocuous quest: to hunt down and slay a legendary hero of Order that prophecies foretell will liberate the Mortal Realms from the stranglehold of Chaos. 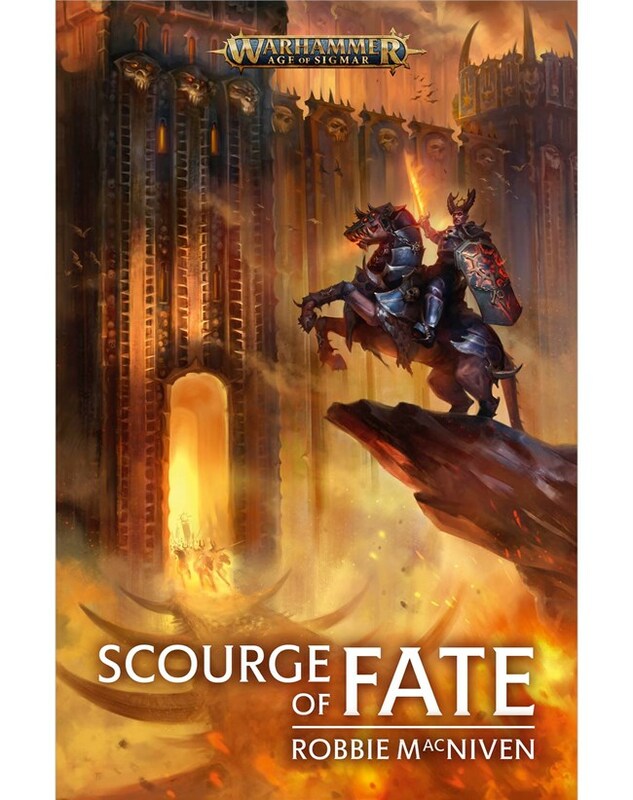 Yet when a betrayal strikes the very heart of the Varanspire, the great fortress of the Everchosen himself, it soon becomes clear to Vanik that Sigmar’s Chosen is not the only threat to Archaon’s reign that he must defeat. For Vanik, there will be only victory or oblivion. For he is a Varanguard, and no enemy of the Three Eyed King will escape his blade, lest the Varanspire fall. Robbie MacNiven: New Slaves to Old Darkness, or, Does the Varanspire have a Bakery? Robbie MacNiven: New Slaves to Old Darkness, or, What if King Arthur was Evil?